Blue water: (Chlorophyll amounts and surface temps from Terrafin SST) The water is a bit discolored this week out to the 100 fathom line, but clean from there to way out past 50 miles. Offshore: This morning, my wife Rebeca and I, went to the centro mercado to buy fresh veggis and chicken. I ended up getting about ½ of my fish report while my wife shopped. First, we ran into an old friend, and previous sport fishing captain, Rubin Lara. Rubin and I spend many a day on the water on the 31 foot Bertram Vamonos, owned by Jaimie Morales, with fly fishing clients for sailfish. After the economic downturn of 2008, like many excellent captains here, they had to make a living and he turned to the dark side. He became a commercial fisherman, working out of his own panga, and did well. But, commercial guys kill anything that bites the hook, because there is a huge market for it (which is another story and problem). Rubin told me there is lots of big tuna, marlin, and sailfish out beyond the 40 mile mark. Just yesterday he boated a 215 pound yellowfin. 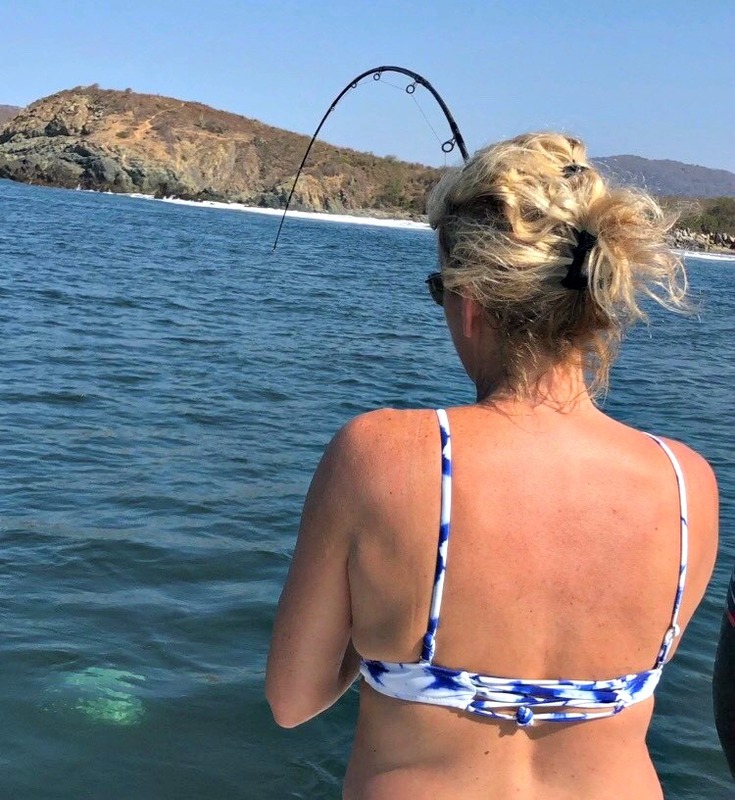 We laughed as to how much easier it is to get five or six 40 pounders in the boat, rather than risk losing one big one, after several hours of fight. Then I met Mike Buckley and his wife. Mike, a retired white marlin captain from Rhode Island, has a condo here. 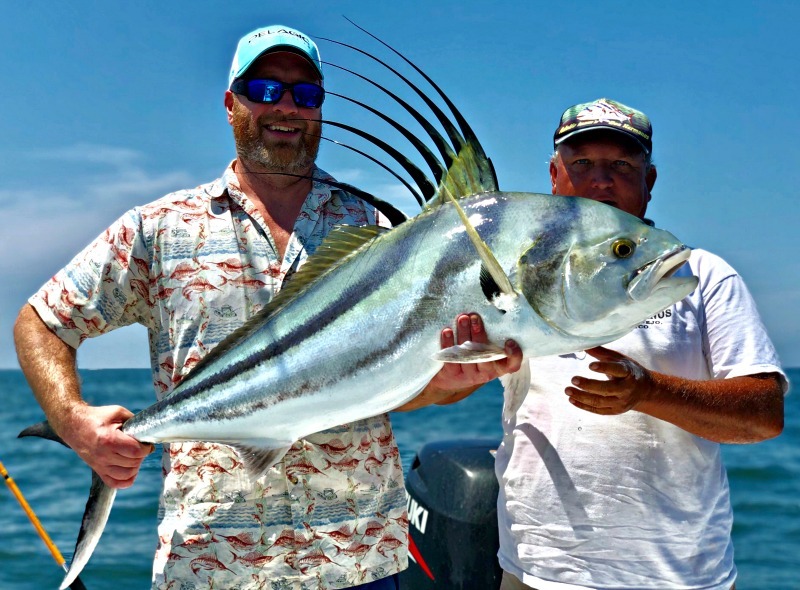 He used to own the super panga Huntress, a well-respected boat with great fish counts. Mike is getting up in his years, looking great, and is still fishing. Inshore: With few clients, there is little information. Chris Ball and his friend Karen Gallagher, have fished here many times in the past few years, but mostly offshore. Chris called me and wanted to try the inshore, and with a bit of luck, get a rooster. 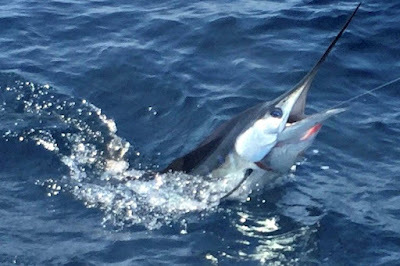 This is what he emailed me: We had a great day on the water with Adolfo yesterday! 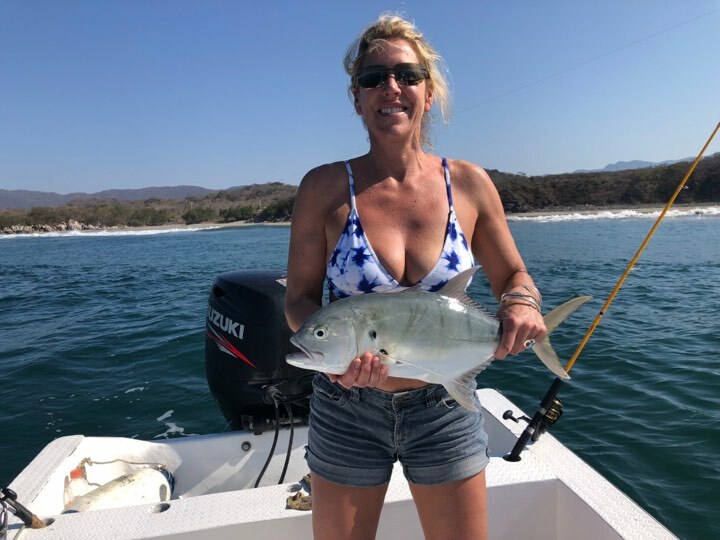 After shaking off the effects of a long fishless winter in Maine, catching several black skipjack tuna and jack crevalle, Adolfo put us on a trophy roosterfish. After nearly a 30 minute tug of war with this broad shouldered bull, we were able to release this beautiful fish. Adolfo and his son are great anglers and great guys. This Fishing Report was submitted on 4/13/2019 7:51:31 PM by Seamus. Degree, Minutes, Seconds: 17º 38' 30.12", 101º 33' 06.12"